We’ve been featured in dozens of online publications and podcasts since launching Road Unraveled in 2014. Here are some of our contributions and interviews. Updates on website news and other noteworthy items. Today is National Plan For Vacation Day! Since we started Road Unraveled, we have enjoyed sharing our vacation ideas with you—and we have really enjoyed hearing your stories about the vacations you take. Still, one of the biggest challenges is that it’s simply hard to take time off from work. Many companies discourage vacations, and plenty of us worry that taking time off might suggest we aren’t committed to our jobs. It’s easy to see why vacation is often a bad word to use at work! We would like to change that. 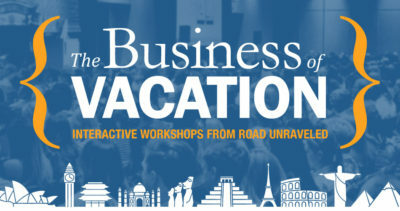 Today, we are thrilled to launch our new workshop the Business of Vacation! This interactive, in-person workshop is designed to help companies to create a culture of vacation. Taking time off has incredible benefits for employees and for the workplace as a whole, and we can’t wait to help companies discover how vacation is a key to improving innovation, productivity, and engagement. Learn more about the Business of Vacation—and let us know if we can help your company unlock the power of vacation to improve organizational culture! Stephanie had a terrific time talking with Chris on the Quit Bleeping Around podcast! Listen to find out why vacation might be the secret to your professional success and hear some of Stephanie’s tips on how to take a more strategic approach to your vacation time. Plus, you’ll hear a few stories about our adventures (and misadventures!) from previous vacations! 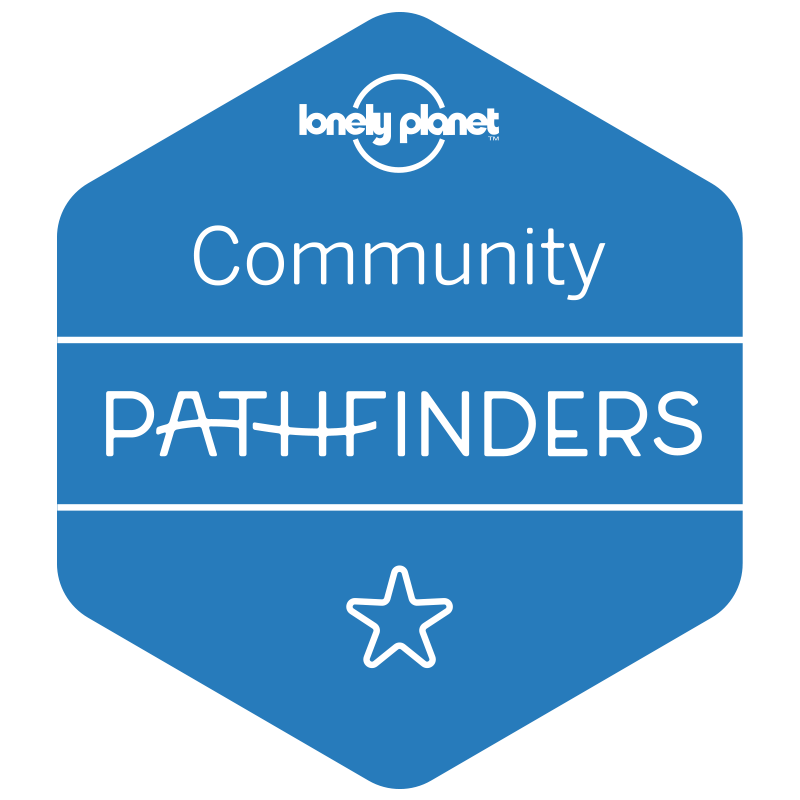 We are thrilled to be featured in the September 2018 Lonely Planet Pathfinders top blog posts! It’s an honor we first had in June 2017, and we’re excited to be part of this distinguished group again. Check out this link to read all the September posts! Stephanie had a great time chatting about life, work, and travel (including Antarctica) in her recent Funky Thinkers interview. Listen to the on-demand podcast to hear her share some of her favorite stories and travel tips! We are extremely honored and excited to announce that Stephanie has been selected as a finalist for the 2017 Travelex/Penguin Books Next Great Travel Writer Award! Out of thousands of entries, Stephanie was selected for the final 5 shortlist of entries! Read her story and learn more! We’re proud to produce content that is read and shared around the world. We monitor our web traffic with Google Analytics. These numbers are accurate as of March 2019. We have our social media profiles linked at the top and bottom of our site, but we’re on a few more as well. Feel free to connect with us on all our profiles and send us a note! We have been honored to earn recognition for our writing and photography and to consistently rank as a top travel blog for various topics. 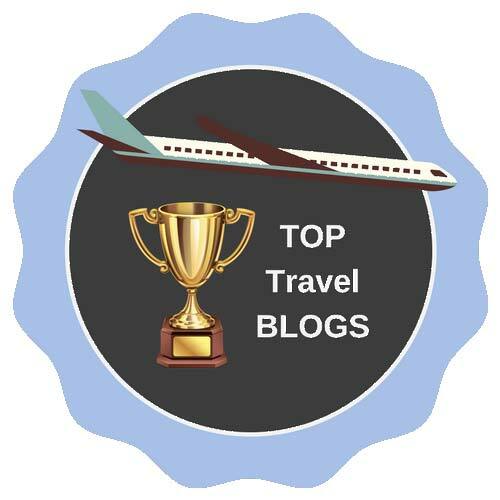 We’ve also been featured as the Travelex USA #TopBlogger in March 2017. 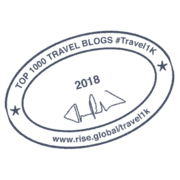 * This page may contain affiliate links that help us to maintain this website. They do not impact your price or buying experience. Thank you for your support!